Ever since the pioneering work of Frank Drake (1930-) in 1960, astronomers have been looking for radio signals from extraterrestrial civilisations and have failed to find anything. This could be because Earth-like planets containing complex life forms (such as ourselves) are rare in the Universe and only a series of highly improbable events led to the evolution of intelligent life on Earth. In 2000 geologist and palaeontologist Peter Ward and astronomer Donald Brownlee published a book in which they explained the term ‘Rare Earth Hypothesis’ which they had coined to describe this viewpoint. However, they were not the first people to arrive at this conclusion. These ideas had been circulating for decades before the publication of their book. 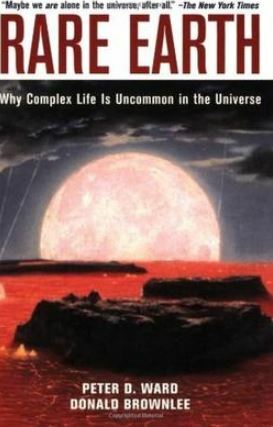 For example, the astronomers John Barrow and Frank Tipler discussed them in detail in their 1987 book ‘The Anthropic Cosmological Principle’. FP is the fraction of the stars within our galaxy which have a planetary system with one or more planets, expressed on a scale of 0 to 1. A value of 1 means that all stars have planets. 0 would mean that no stars have planets. Current estimates are that FP is very close to 1. NE is for the average number of bodies, either planets or moons of planets, with the right conditions to support life. For this to happen liquid water must exist somewhere on the planet. A reasonable value which many astronomers would agree with is 0.4, meaning that out of every 10 stars which have planets, 4 have bodies which could support life. FL is the fraction of bodies with the right conditions to support life, on which life actually evolves, expressed on a scale of 0 to 1. A value of 1 means that on all planets with the right conditions life will evolve. There is no consensus among astronomers about the value of FL. FI is the fraction of bodies having life, on which life has evolved into intelligent civilisations, again expressed on a scale of 0 to 1. Again, there is no consensus among astronomers about what this value is. FC is the fraction of bodies with intelligent life which develop a technology that releases signs of their existence into space. For example, on Earth TV and radio signals escape into space and could be picked up by a nearby alien intelligence with a sensitive enough receiver tuned to the right frequency. No one knows what the value of FC is. L is the average lifetime of a civilisation in years. Again, there is no consensus on this point. Could we be alone? Could FI could be very very low? Perhaps the term with the biggest degree of uncertainty in the Drake equation is FI, the fraction of bodies having life on which life has evolved into intelligent civilisations. I will outline the arguments for believing that this number is very low indeed. The Earth is roughly 4.6 billion years old. 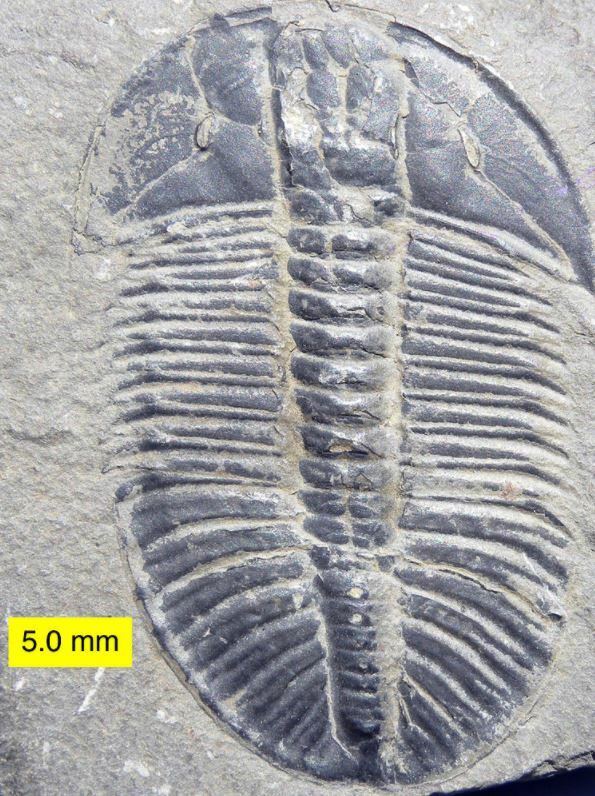 Simple single-celled lifeforms emerged 300 million years later, a relatively short time after the Earth had cooled enough for liquid water to exist. These simple cells, called prokaryotes, cannot form complex organisms where different types of cells perform different functions. However, individual prokaryotes can group together in colonies, forming a kind of slime. All complex life on Earth is based upon cells called eukaryotes. These cells have a nucleus (containing the genetic material of the cell), structures called mitochondria, which regulate the cell’s energy and other specialised units known as organelles. The first eukaryotes didn’t emerge until 2 billion years after prokaryotes, indicating that it was a much bigger step in evolution than the emergence of the first simple cells. It could well be the case that the large number of sub-steps needed in the evolution from prokaryotes to eukaryotes means that even where simple lifeforms have emerged, in the vast majority of cases there has been no further evolution beyond this stage. Even after the emergence of these complex eukaryotes, it would take over one billion years before multi-cellular life forms such as the first plants and animals appeared. In these organisms cells are specialised, so different types of cells perform different functions within the organism. Given the large amount of time taken to move from eukaryotes to complex organisms, it might well be the case that even if something akin to eukaryotes emerge on a planet, which have the potential to eventually evolve into multi-celled organisms, evolution proceeds no further. The average time taken to evolve from complex cells to multi-celled organisms given favourable conditions might be 2, 5 or even 10 billions years. It has taken 600 million years from the appearance of the first animals to the emergence of Homo sapiens in Africa, around 200,000 years ago. Over this vast amount of time the vast majority of species have disappeared and have been replaced by other species which are better suited to the changing environment. However, the disappearance of species and emergence of new ones doesn’t occur at an even rate. 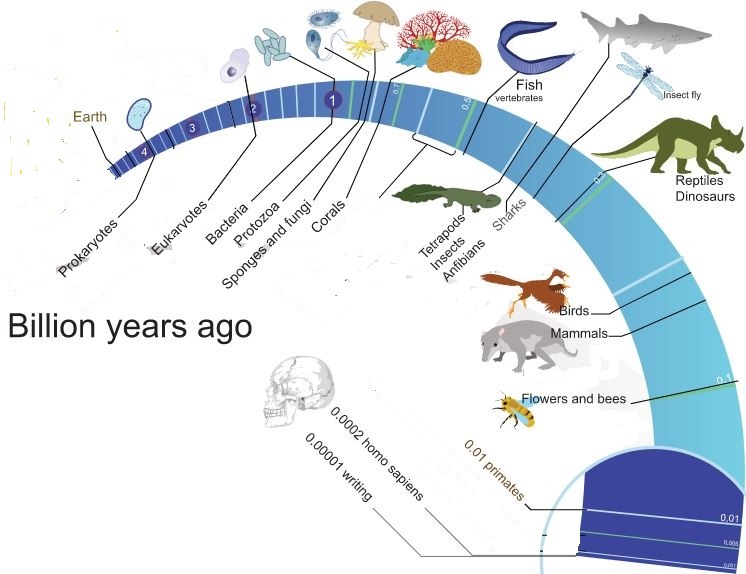 Every 50-100 million years there have been catastrophic events which have caused periodic mass extinctions when a large number of species failed to survive. The most dramatic of these was at the end of the Permian period, around 230 million years ago, when 95% of land and 70% of sea species became extinct. 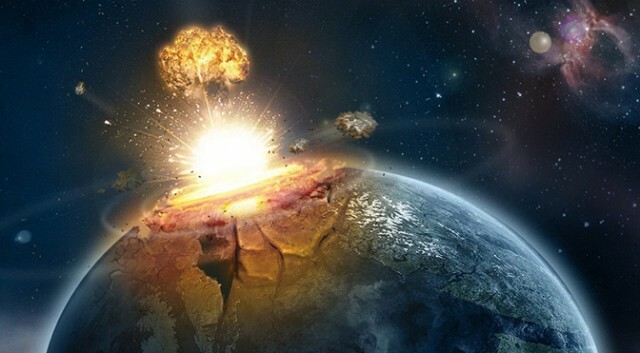 Perhaps the best known mass extinction occurred 65 million years ago when a massive comet or asteroid 10 km in diameter hit the Earth at a speed of up 50,000 km per hour. 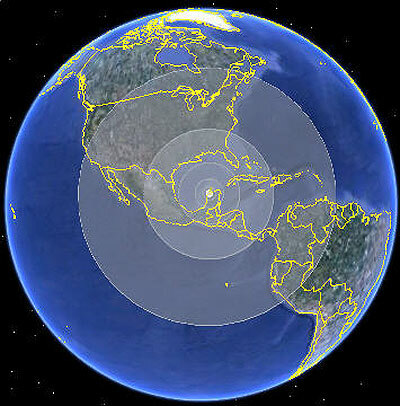 Its high speed coupled with its huge mass meant that it smashed into the Earth in the area now known as the Yucatan peninsula with an energy 6 billion times greater than the atomic bomb dropped on Hiroshima at the end of the Second World War. The impact melted much of the local crust and blasted molten material outwards. Any object near to the impact site would have been instantly vapourised. Such was the energy of the impact that some of the Earth’s crust was thrown upwards with so much velocity that it went out into space. Over the next few hours molten rock, dust and ash rained down on an area millions of square kilometres in area. This hot material would have ignited fires, destroying plant and animal life within a large area. The impact 65 million years ago occurred in what is now the Yucatan peninsula in Mexico. The outer ring shows the area which become covered in debris. A fine cloud of dust from the impact circled the entire Earth. This blocked out sunlight, causing the Earth’s temperature to fall by about 15 degrees Celsius. The sudden drop in temperatures and lack of sunlight getting through meant that plant growth stopped for several months. As a result, many species of herbivorous animals which fed on those plants became extinct and the carnivores which fed on the herbivores became extinct too. Those species which did survive had their numbers drastically reduced. Nearly 75% per cent of the species of animals alive before the impact became extinct, including every species of dinosaur. After the disappearance of the large reptiles, mammals became the dominant land animals. Although we as a species are now probably sufficiently advanced as to be able to survive a mass extinction event, even if only in small numbers, this would not have been the case if one had occurred earlier in our development. If one had happened 150,000 years ago, when Homo sapiens were few in number and less equipped to withstand a major famine – those hunter gatherers would have had nothing to hunt and nothing to gather for many months – we would have become extinct long before we could develop civilisation. Indeed, if mass extinctions were to occur every million years, rather than every 50 million years, it is difficult to see how any intelligent species could ever evolve. It would be wiped out before it became fully established. The reason why mass extinctions occur infrequently is due to the unusual layout of the Solar System, and I’ll talk about this next. The Sun is a single star in an uncrowded region of space, in the outer regions of the Milky Way galaxy. The nearest star to the Sun is over 4 light years (40 trillion km) away, more than ten thousand times further than the outermost planet Neptune. If the Sun were in a more crowded region of the galaxy, a passing star’s gravity could easily disrupt the Earth into a different orbit, which might be closer to Sun, making it too hot to support life, or further away, making it too cold to support life. 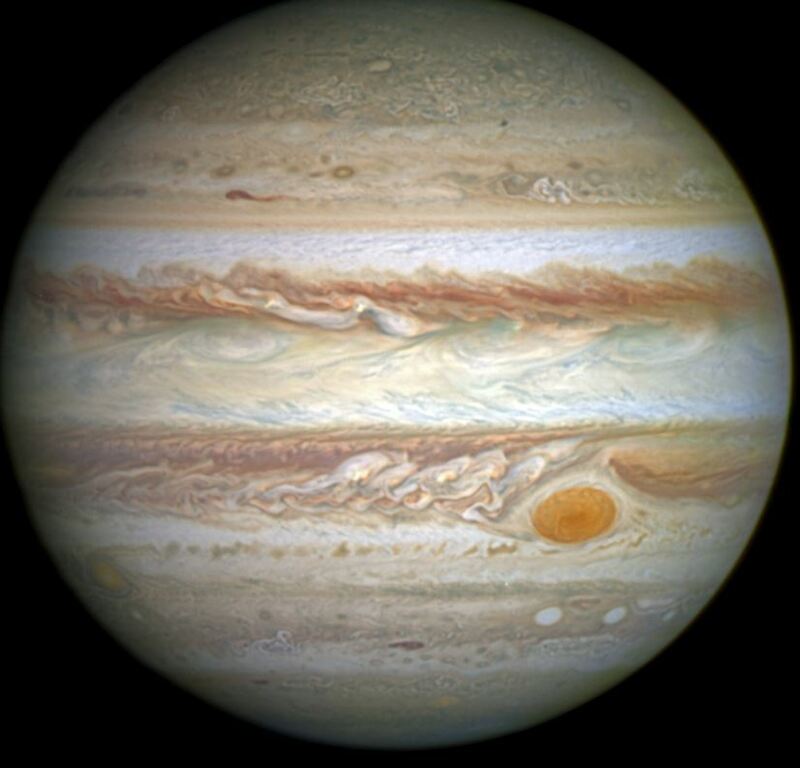 The giant planet Jupiter is more than 300 times the mass of the Earth. As comets enter the inner Solar System from its outer reaches, Jupiter’s gravity slings most of these fast-moving ice balls out of the Solar System before they can get close to Earth. Without Jupiter, comets like the one which hit the Earth 65 million years ago would collide with our planet much more frequently. Observations of planets detected around other stars have shown that arrangements of planets similar to our Solar System, with small inner rocky planets surrounded by massive giants in the outer reaches, are relatively rare. Another factor which may be essential to the emergence of complex lifeforms is the presence of a large moon close to the planet. The Moon is 25% of the Earth’s diameter and is only 400 000 km away, a very short distance in astronomical terms. 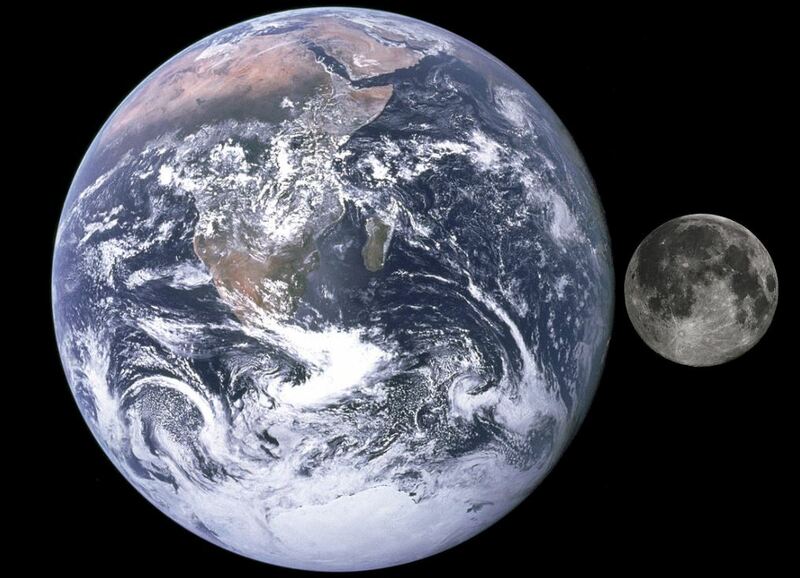 The Moon is much larger in comparison to its parent planet than any other moon in the Solar System. This means that the Moon’s gravity stabilises the Earth’s tilt so that it doesn’t vary too much from its current value. Without the Moon there would be massive swings in the tilt between 0 degrees, when there would be no seasons, and 50 degrees, where there would be extreme seasons where much of the planet would be in darkness or full daylight for months at a time. 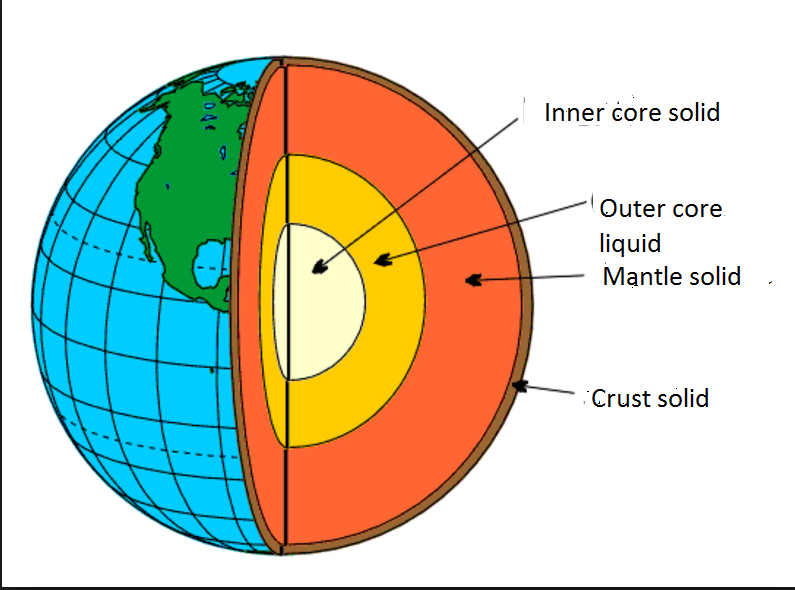 The Earth’s magnetic field is generated by convection currents stirred up by rotation in its liquid outer core, which is made out of iron. In fact for any planet to have a strong magnetic field, part of its interior must consist of a liquid which conducts electricity and it must be rotating rapidly enough to generate convection currents. Without a magnetic field the planet would not have a protective ozone layer shielding its surface from deadly ultraviolet radiation. It would be very difficult for advanced lifeforms to exist on the surface. It is not known how many planets around other stars satisfy the criteria to have a magnetic field. However, the Earth is the only one of the inner planets in our Solar System (Mercury, Venus, Earth and Mars) to have a strong magnetic field. In order for life to evolve, the planet must be large enough to retain a significant atmosphere, without which liquid water cannot exist. Mars is roughly one tenth the mass of the Earth and its gravity is so low that its atmospheric pressure is only 0.6% of that of Earth – too low for liquid water to exist. In addition to periodic mass extinctions which wipe out most species, all populations come under pressure due to sudden changes in climate, such as ice ages, major volcanic eruptions, loss of habitat, disease and competition from other species for food and shelter. The first Homo sapiens were confined to a single region of Africa and were few in number, and thus vulnerable to becoming extinct. 70,000 years ago a super-volcano erupted in Indonesia causing the Sun to be partially blocked out and resulting in a fall in global temperatures. Only an estimated 15,000 humans are thought to have survived (Edwards 2010). If we take all the factors I’ve talked about into account, for single-cell organisms to evolve into intelligent lifeforms capable of building civilisations, all of the following must happen. Single cell creatures must have evolved in into complex cells, something akin to eukaryotes. To reduce the frequency of mass extinctions, the planetary system must have a large giant planet in its outer reaches. To ensure the planet remains at a habitable temperature, the parent star must be a single star in a less crowded region of the galaxy. To ensure the planet remains at a habitable temperature over a long period of time, the parent star’s energy output must not vary too much. This constraint rules out advanced life around the most common type of star in the galaxy, red dwarfs . To reduce the frequency of dramatic changes in climate leading to mass extinctions, the planet must have a large satellite. The planet must rotate rapidly enough to generate a magnetic field, as without this complex life would not be possible on its surface. The planet must be large enough to hold an atmosphere. Multi cellular organisms must have evolved. The planet must have a significant fraction of its surface as dry land. The assumption is that although aquatic creature such as dolphins are undoubtedly intelligent, only land based creatures could build civilisations. A land-based intelligent species has emerged during a survival of the fittest. The intelligent species has managed to survive major environmental changes such as ice ages and has built a civilisation. Putting all these together, followers of the Rare Earth hypothesis believe that the probability of all the above happening on a planet on which simple life has evolved could be as low as a billion to one. If it were this low, then the expected number of intelligent communicating civilisations in a galaxy such as ours would be very low. If the disputed figures within the Drake equation were guessed to be on the low side, N could be as low as 0.000016. This would mean that not only are we the only intelligent communicating civilisation in our own Milky Way galaxy, but also that there are none in any galaxies within tens of millions of light years of us. If this is the case then the Earth would not be just be an ordinary planet orbiting an ordinary star in an ordinary galaxy. It would be a very special place indeed! Edwards, L. (2010) Human were once an endangered species, Available at: https://phys.org/news/2010-01-humans-endangered-species.html#jCp (Accessed: 7 April 2018). Thanks for this very interesting post on such a fascinating subject, most of us humans would be interested in it I believe. The prospect of mass extinction events must be taken seriously, or at least those kinds of occurrences that reduce numbers dramatically. The possibility of a pandemic due to virus or bacterial infections is a very real one and I am sure some kind of Drake equation could be formulated to express the likelihood of such an event. The ease of modern global travel , and the prevalence of antibiotic resistance being some of the factors involved. Very interesting to put our species in this sort of context. I think Francis Drake’s method gives us the right example: travel! Why do scientists not just believe the bible? Instead of messing up the great gift we have been given and let people enjoy it for the short time we are here. Because scientists donot just believe anything, they do not just take anything for granted. It is just a matter of critical thinking, looking for evidence, listening to reason. Improvement of for instance healthe care is not messing up the great gift you mention. Not thinking critically is messing it up. I agree that use of critical thinking is a great gift, and, in my view science is revealing the wonder of ‘creation’ and challenges us to understand or at least try to understand what is revealed, even if some things are beyond our comprehension. A spiritual thought if ever there was one. Thank you for making that point! It truly needs to be made in more places. We don’t know the precise means by which “life” arose, or how eukarytes came to be, yet it happened. It ‘s possible, is it not, that both events could come about in different ways and that conditions elsewhere in the universe might give different outcomes? It seems to me there are risks in taking Drake’s Equation too seriously. Most of the terms are unknown, maybe even unknowable. We know that life arose in at least one place – here. Now, it either arose elsewhere or it didn’t, thus the number of other places where it happened is either zero or a positive number 1, 2, 3 …….. n.
My third comment relates to intelligence. What is it? And might we possibly not recognise it in a different form? I’m not suggesting for one second that there are Q beings out there, but one must wonder whether our concept of intelligence is the only possible one. In the end, I must concur in your conclusion that meaningful communication (underline) with alien intelligences (whatever that might mean) is highly improbable either now or in the future, though it doesn’t follow that I would rule out their existence. As always, thanks for an interesting article to stimulate the brain cells! Thank you for some interesting observations. You’re absolutely right, the Drake equation cannot give a meaningful answer to the number of intelligent communicating civilisation in our galaxy, because so many of the terms are unknown. It is best regarded simply as a tool for discussion of the factors involved. However, I find the arguments that intelligent life is very rare in the Universe and that we are alone in the galaxy very convincing. The thought occurred that if one of the factors in Drake’s equation was infinity then that would mean that intelligent life must exist, indeed it, or what passes for intelligent life, does, here on Earth. If the universe, or universes, is or are infinite does this therefore mean that other forms of intelligent life must exist elsewhere in this infinity. If there is no intelligent life elsewhere apart from our own, does that prove that the universe is definitely not infinite, and in which case what lies beyond? Or is there a physical model that satisfies an infinite universe made up of finite entities? Thank you Graham D for your interesting comment. The first thing to say is that the Drake equation only relates to the numbers of communicating intelligent civilisations in our Milky Way galaxy not the the entire Universe. In essence if we take the highest possible values of the terms in the Drake equation, i.e. those taken by astronomers such as Drake himself who believe that alien intelligence is widespread throughtout the galaxy. N= 10 x 1 x 0.4 x 1 x 1 x 0.2 x 100,000,000 = 80 million intelligent communicating civilisations in our galaxy! This was a very interesting article. Personally, I think the key is intelligent, COMMUNICATING civilizations. There may possibly be civilizations on other planets which have not reached our technological level. There may be multicellular, intelligent, even sapient life on other planets which hasn’t built a civilization. I’m unclear about why there can’t be advanced life on planets orbiting red dwarf stars, though. Why can’t there be? Again whether or not advances life could ecist around red dwarfs is something on which there is no scienticfic consensus, I can see a number of major challenges. The main one is the star’s variability. Unlike the Sun, whose brightness is fairly constant, the amount of energy emitted by red dwarfs can rise or fallby as much as 50% over short timescales. This would cause huge swings in temperature which would present challenges to the survival of complex life forms. Thanks for the post. I’ll read it as soon as I can. I can see how variability would be a problem, but I’d imagine some red dwarfs are less variable than others. Fascinating article and entertaining as well as informative. Many thanks for sharing! An estimated quantity of 16 million tons of rare earth has been found on a small Japanese island in the Pacific (CNN). Fascinating!! That’s crazy to think how lucky and privileged we are to be living at this time. Thanks for the science facts they’re great!